Share & spread the word: LCS provides a super affordable and fun summer camp options! The program registration fee is $50.00 per child. Lunch and snacks are not included. Please contact LCS to register. Please join us in saying goodbye to Mr. Bennett after 23 years of wonderful service to LCS. We wish him the best in retirement and will miss him immensely, but the legacy he's leaving will continue through generations of LCS students. The Longmont Times Call has a lovely article on Mr. Bennett and his work here. The senior class of 2017 worked hard on installing new flower beds as a class project and gift to LCS for future generations to enjoy. Thank you Class of 2017! You will be missed but we know you're off to amazing endeavors. 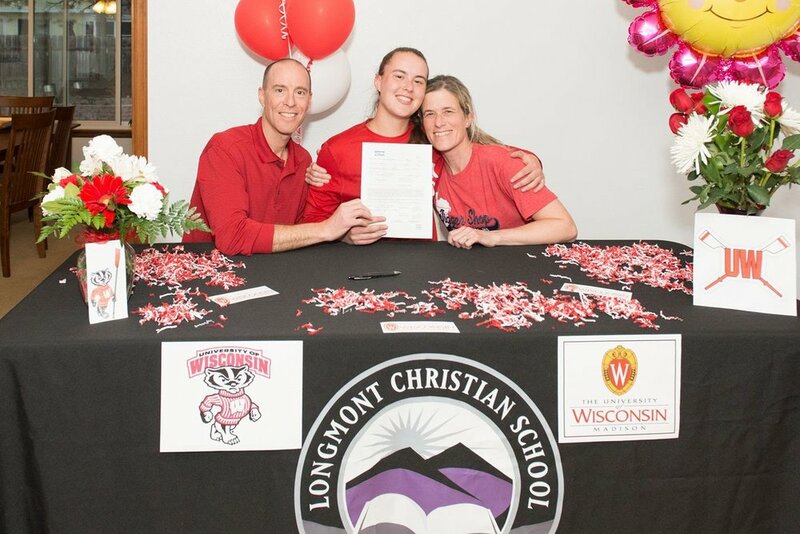 Abbey Moore Kneipp will be rowing with the University of Wisconsin when she starts studies in the fall of 2018. Congratulations! 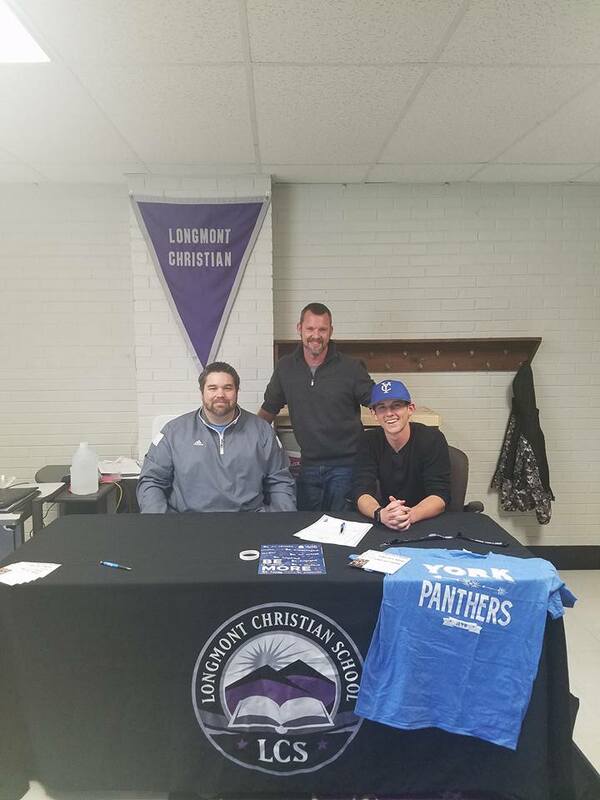 Clayton Eldred received a scholarship to play baseball at York College starting in the fall of 2018. Congratulations on state LCS Boys Basketball! You’re invited to attend the spring play, 12 Angry Jurors, on March 17th at 7:00 PM. The play tells the story of a jury deliberating the first-degree murder trial of a 19-year old accused in the stabbing death of his father, where a guilty verdict would mean an automatic death sentence. Tempers and tension mount as jurors wade through their personal prejudices and biases in order to reach a unanimous verdict in this heated courtroom drama. Don’t miss it! Come support the efforts of a fantastic, talented, dedicated group of students! Tickets are on sale now through Friday, March 17th. Purchase from Mrs. Kirby or the Office. Tickets may also be purchased at the door. The annual can food drive has already begun. This is a whole school event and participation is encouraged by everyone. Each class in you group will be competing to bring in the most cans, with the largest donating class winning a prize. We are super excited to get this competition going and see how much help we can provide to our community! We will also be collecting cash donations; $1 is the equivalent to two cans for our contest. This event will continue all the way through April 7. We are looking forward to everyone's participation and generosity.